This week I want to tell you about bundles. Its getting very close to the launch of the new catalogue, just four weeks away. We all love a bargain... so when the sets that are currently bundles carry over into the new catalogue they lose their 10% discount. If there is a bundle you have wondered about then now is the time to purchase it. There are 24 bundles that carry over into the new catalogue and until May 31st they have 10% discount. I have 10 of them. I have just ordered the Coffee Cafe so there will be makes coming with that soon. Today I am going to start with the climbing orchid bundle. This is a huge set of 28stamps and 12 dies. I need to have another play with this one it was one of the first I bought last year. 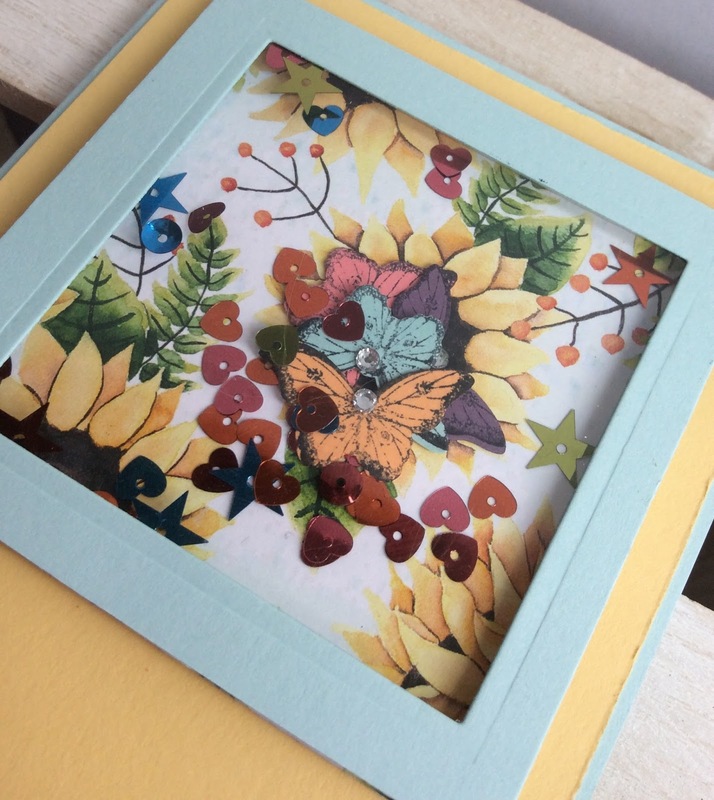 Three makes with this set, the first was an all day class where we made a home decor frame, the second card we repeated in a series of colours and the third is a diorama. The second bundle for this today is Daisy Delight I love this set. I am actually using it again in my card and a cuppa on Tuesday. Here is a reminder of some of the makes from the previous year. There are of course lots of new bundles in the new catalogue but you will have to wait for those. Get one of these whilst its still a bargain. 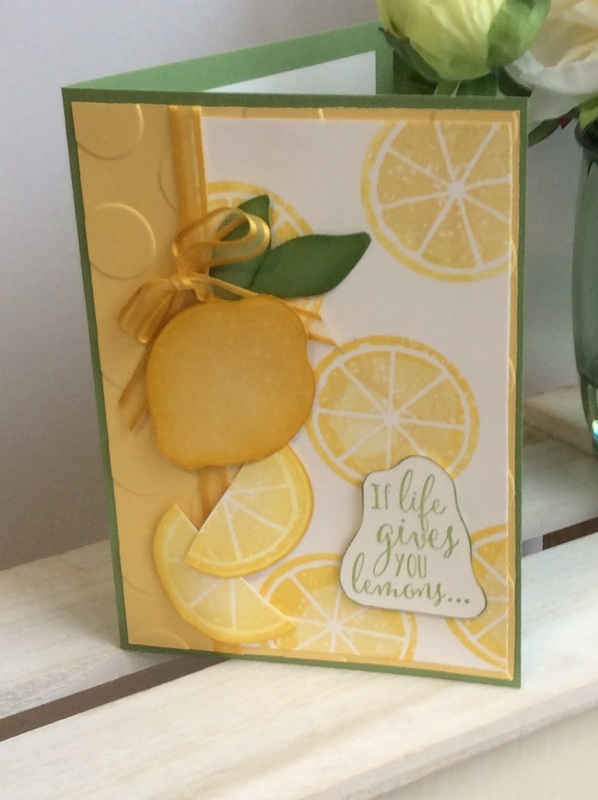 Another post using the Lemon Zest stamp set and punch. Did you know that at the moment you get a 10% discount if you buy these two items as a bundle. On the 1 st of June this will no longer be the case although the stamp and the punch will still be available. These are the final 2 cards in this little set and later today I will be adding the 4 cards and the bag as a bundle in my Etsy shop. For the first card I have used the stamp set as limes rather than lemons. The lemon lime twist works really well with the garden green. Adding that line of dark green around the punched out limes pieces gives the rind, so zesty! A little bit of stamping on the inside. The final card is just fun. Now that I am off and running with this set I am sure I will have more makes to come. The ribbon is white organza ribbon coloured with a marker pen as I don't have any yellow ribbon! When I arrived at the studio one morning last week there were two ducks sat in the puddle in the middle of the cobbles outside the cafe.... they refused to move, I had to negotiate around them so that I could park the car to unload. Not an easy task as they were right in the middle. Having gone past them in one direction they were still there after I had unloaded the car and was taking it back to the car park. They stood in the puddle, waddled around sat down in the puddle and repeated. And really it wasn't April 1st. Why lay an egg in a puddle when the canal bank is only 200yds away? 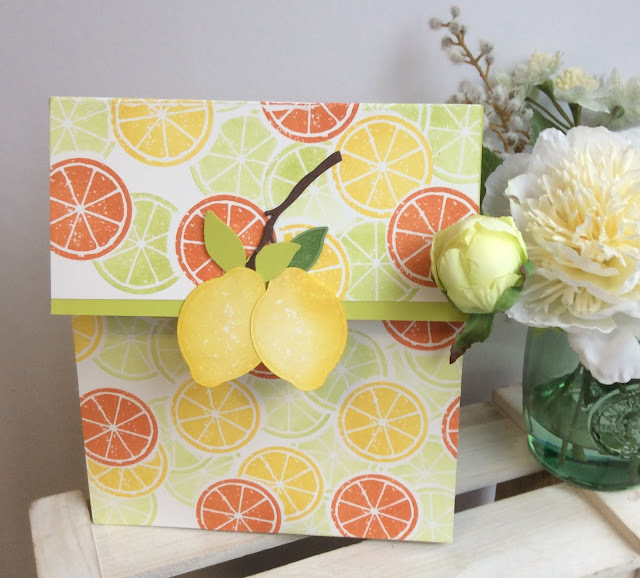 This card was inspired by Catherine Harwood . Its not one for posting unless you make a box for it but it is very stylish. With the rise of so many gin festivals locally I thought this was a good one. The bit of glitter around the rim just adds that bit of extra interest. I have coloured the vellum on the back with a daffodil delight marker pen. A long cold drink is just what you need with the heat wave we have been having. When you have had a browse and are ready to place your order use the hostess code before you shop. 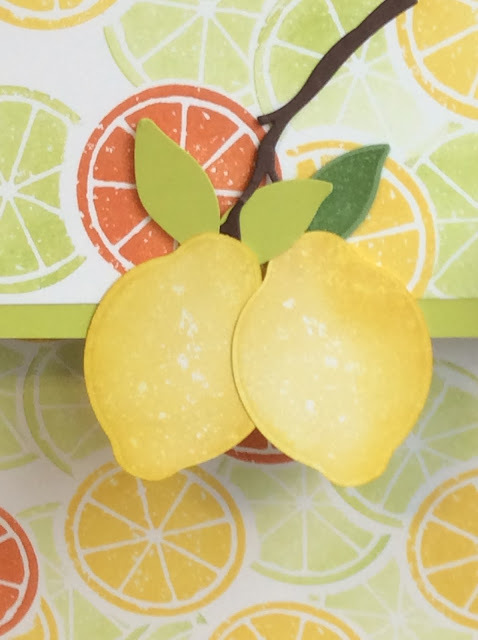 When shopping with me for orders over £30 please use the hostess code RB9GBYFC I will send a card and a gift in the post in May as a thank you..... more lovely crafty goodies! I share a studio with a fellow crafter, however she makes using cut vinyl and sells on Etsy. In March she had a sudden rush of orders, so much so that I have learnt to 'weed' place, trim, and all sorts of other things with vinyl. We have worked until 10pm for 3 nights this week. Work for yourself they say...... its not as easy as they make out. The inside of the boxes has 'Will you be my bridesmaid' or 'thank you for being my bridesmaid'. They look stunning. Alongside the boxes we decorated wine glasses and make up bags. The boxes come in three sizes, there are bags as well. She also has a range for the men. It has meant I haven't done any crafting this week. But I know there are lots of very happy customers out there. I always enjoy making the Z fold cards and the Z can go, top, bottom, middle, anyplace you want it to. Lots of stamping and having the punch rather than fussy cutting makes this much easier. The little white flowers are die cut with the colourful season dies. Theres a little daubing on the sentiments but not too much. Some of the ladies who come to class are not keen on the daubing, others love it! I have lots more makes with this set watch out they are coming this way soon. I said I would be making a few more of those bags I showed you last Thursday. This one finishes off my set of projects for the class next Saturday. 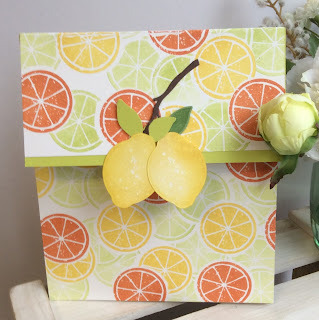 This is my monthly all day project class which always includes some Stampin Up products in the goody bag. For these projects I have used the 12 x 12 card in powder pink, a little black card and the designer paper from the petal palette suit. There isn't any stamping except for the label on the suitcase! The cards use different parts of the memories and more packet. Both parts of the Z fold card use the memories and more cards. 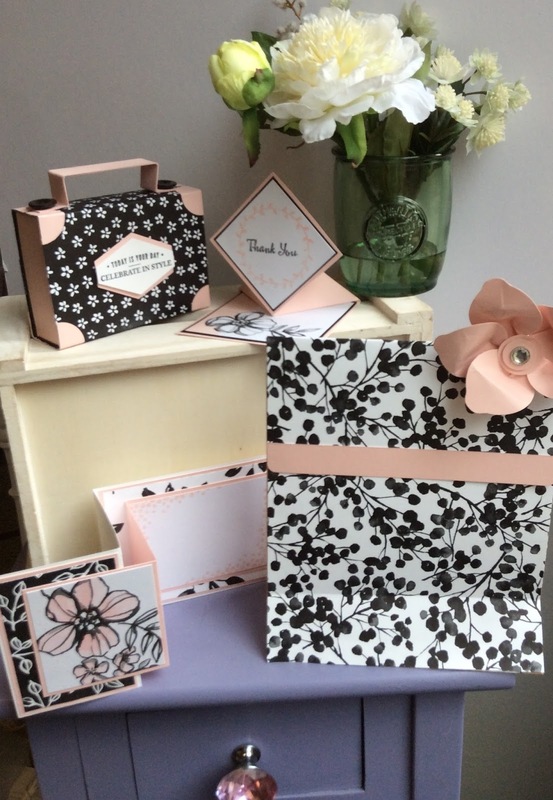 They are so pretty, delicate in the pink and black, they make lovely cards, and at only £9 a pack they are a bargain. The gift bag is a very special make, I will reveal more about that on Tuesday. Whats that??? I hear you shout, good question.. Its the new technique that seems everyone is doing at the moment. So I did a bit of research on that famous You tube, then went and practised. It is a bit messy. I have to state that up front. Although if I stuck the card I was working on, to my grid paper I got a much better coverage. It only works with the black archival ink, and you do need some pressure on the versamark to get an evenish (is that a word?) coverage. I used a heat tool between each layer to ensure that the ink was dry before starting on the next step. I am still investigating which stamps this works really well with. So far I have used all the Lovely as a tree stamps and these are the best two. I think with the next set I try I will make a little video so pop back and have a look this time next week. I really like the first one which I used the champagne foil for, it gives the card a sort of sepia look. I will be using this technique for my class on Wednesday. This is a monthly class for experienced crafters. I'm not very good at boxes... but I am improving however I love a bag. Particularly a bag made in beautiful paper. For this make I have had to stamp - creating my own paper. The zesty Lemon stamp set and punch has been calling me for 12 months now and I am pleased to say it is carrying over into the new catalogue so it had to be bought but there isn't a matching paper... so I made my own. Great fun, lots of stamping and I did use quite a few sheets of 'post it' notes to get the depth. I can see a whole batch of these being made. The bag is 7" wide and 8" tall and holds an amazing amount. I need to sort something out to put in it, suggestions welcome. 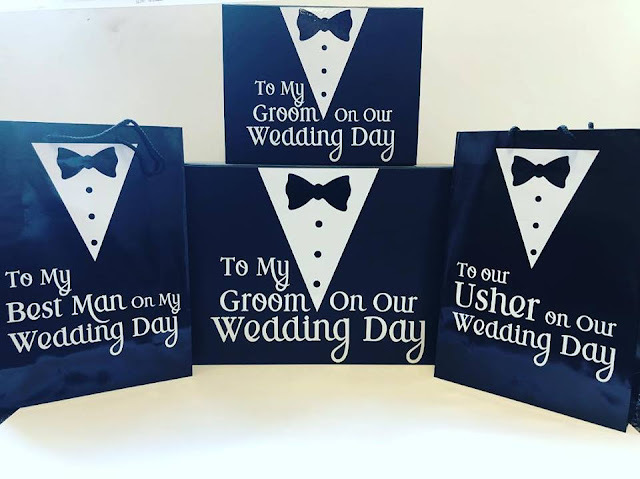 This is the third of our makes for the project day and booking closes tomorrow to give me time to order your wonderful goody bags.. This little card is a 'springer card'. Its very simple to make but so effective. Check out the events page and get your seat booked for the Project workshop on the 21st April. Its my first lot of classes today after my weeks holiday on the IOW and the wonderful Onstage in Telford. I am still working my way through the new catalogue. So many lovely stamp sets but not enough hours in the day. Back to this weeks classes. This afternoon we are making cards that have some movement. 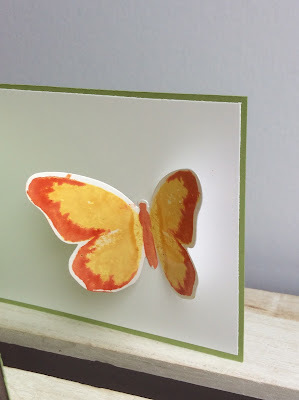 I am using my butterfly stamps and punches. Some of these retired last year but my ladies love them.....is there something new to replace them this year???? You will have to wait and see unless you join my team before Friday when I am doing a big reveal. Lol. My team are meeting on Friday to check out the catalogue and look at all the goodies I bought back from Onstage. You do have to be a demonstrator to go to Onstage. Its just one of the perks. I love it. Again back to todays class. Thinking about movement... 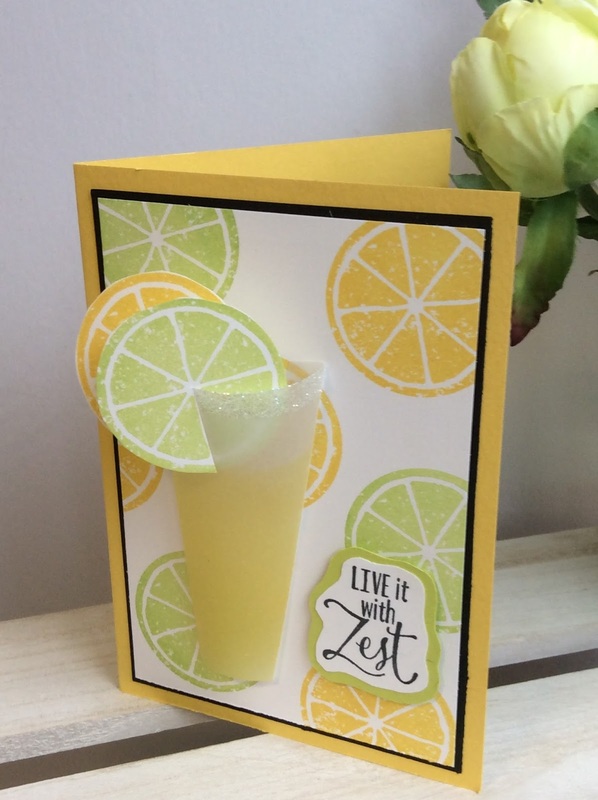 I have created a shaker card, something in the past I have struggled with but this one came together really well. The second card is one of those spinner type cards, I had to rummage in the bottom of my handbag for 2 pennies to make it work. Why do the coins end up down in those un-reachable corners? 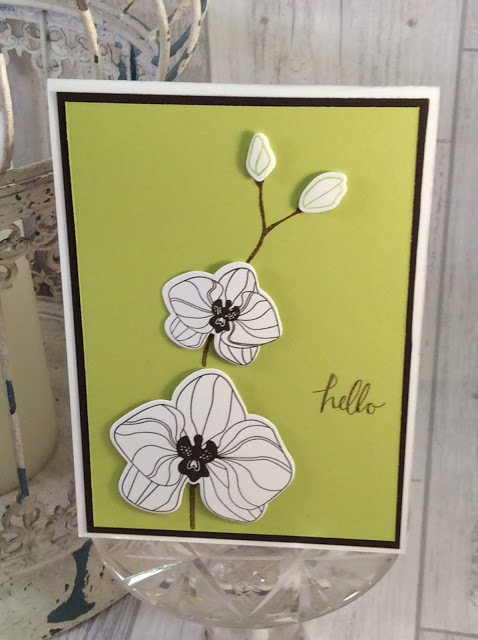 The third card is a lovely card that Ronda Wade created in her fb live. I love this. I have used glossy white card for the butterfly, it really pops. 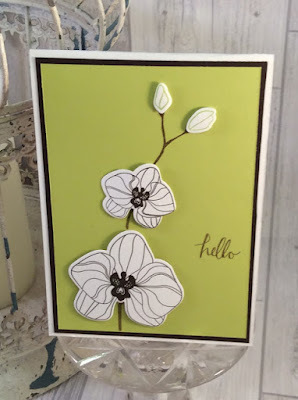 I have used that pretty SAB foiled paper for the background and coloured the leaves with one of my blends pens. As you read this I am at last travelling home. I have had a busy week in the Isle of Wight followed by a wonderful weekend in Telford. The Telford part started after an 81/2 hour dive on Friday, well you could hardly call it driving it was very stop start. I think everyone was going somewhere! Once in Telford we started the Friday evening with a lovely meal with friends at Zizzi's. I can highly recommend the hanging skewer! A lovely walk back to our hotel, it was so warm. 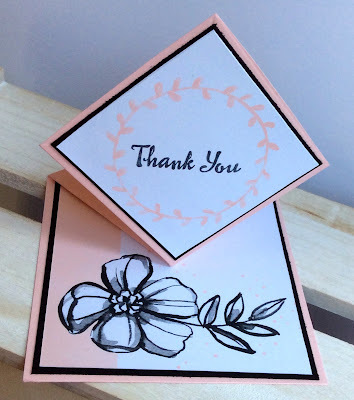 The friends we were meeting was a demonstrator I met at the previous Stampin'Up event last November. We have kept in contact and were both in Telford with our OH's. So the men talked beer, sport and everything else that men talk about and we talked crafting. A really great evening. 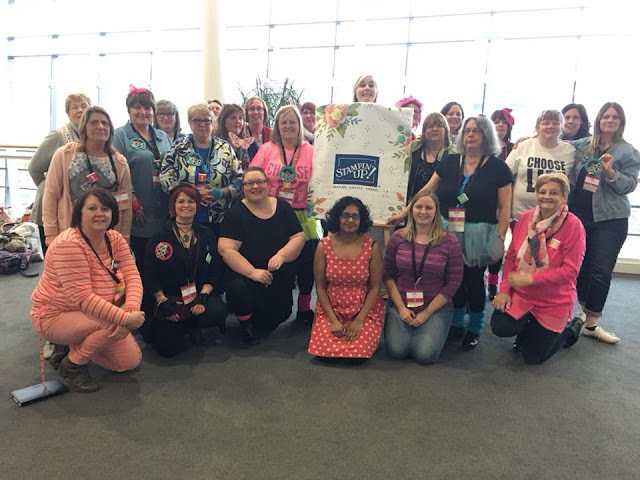 Swapping is a lovely way of meeting new people and I am happy to say my swaps went down well. I will share some of the lovely swaps I received in return later on this week. Today I wanted to show you the great team of ladies I craft with. We had a wonderful day, we are scattered across the country so Telford tends to be the only time we can catch up in person. This year the whole event has been fantastic. I am in bright pink on the right hand side at the front. If you fancy joining this great group of people and crafting with us then please check out the 'join my team' tab at the top of the page. I look forward to hearing from you. Whats happening this weekend and next week? Now we are in April and the new tax year has begun…… no we won’t mention that again. 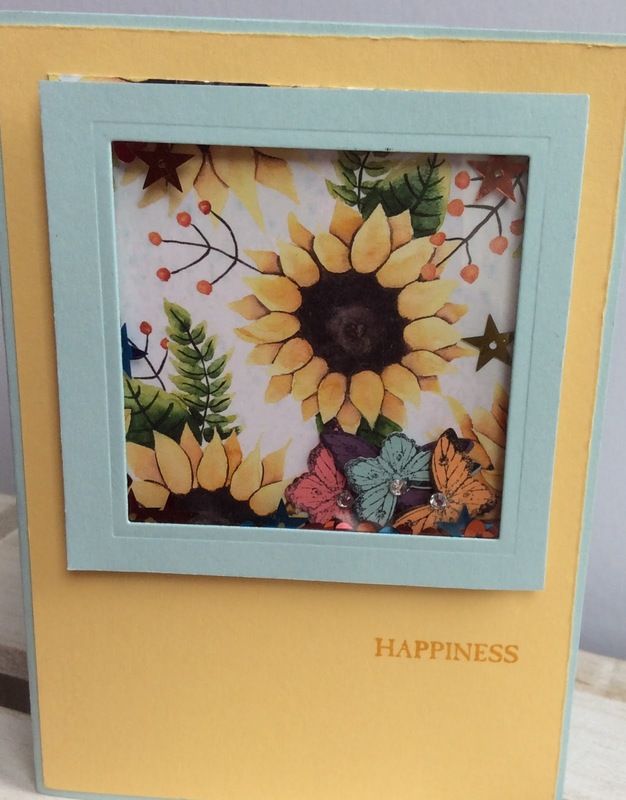 For all those who shop with me online - this months hostess code is RB9GBYFC Not only will I send you a handmade thank you card, for every order over £25 before postage you will receive a packet of dimensionals (either mini or original) from me for free. 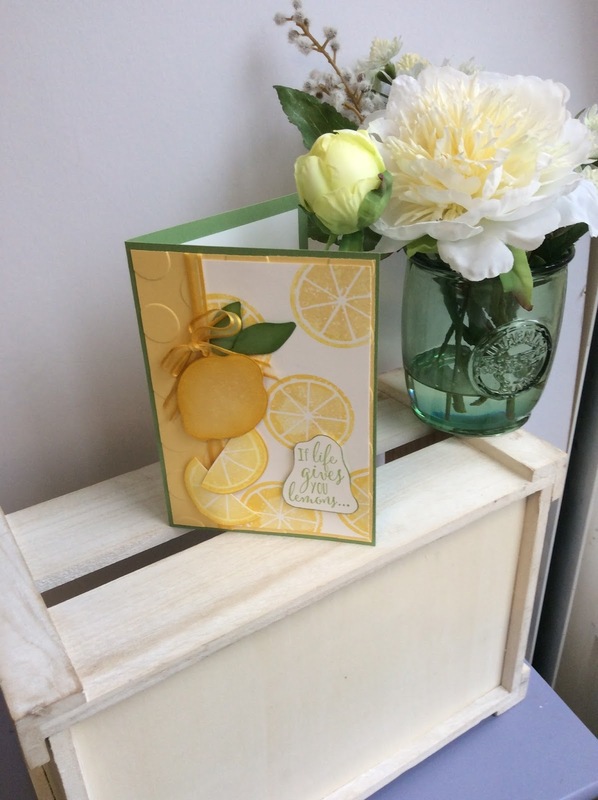 This weekend I will be in Telford at the Stampin’Up convention. This is a demonstrator only event where I will get the new annual catalogue in my hand. Whoop whoop. On Monday 9th April the retirement list will be live online In the past I have found that items do go very quickly. In fact I have never managed to get a bargain although to be honest my want list by this time in the year is quite short! The 'in colours' for 2016 - 2018. Sweet Sugar Plum, Dapper Denim, Emerald Envy, Peek-a-boo Peach and Flirty Flamingo. Order online before Monday, don't forget to use the hostess code! My little team of Kraftlings is working hard to grow. We have regular team trainings and an active facebook page. 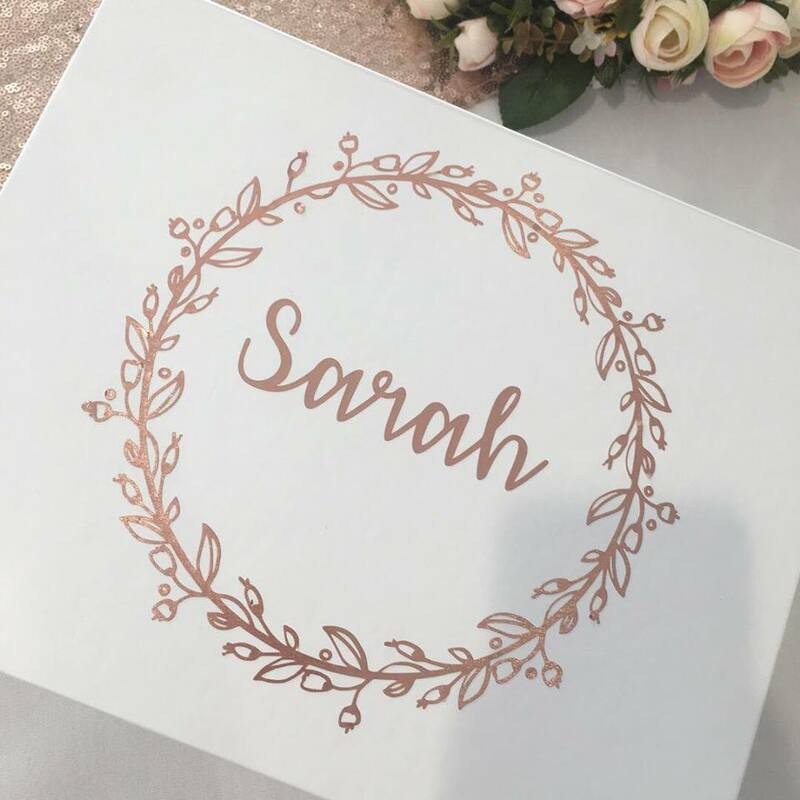 Wherever you live you would be most welcome to join our team and benefit from the discounts we get as demonstrators as well as product preview and many other perks from Stampin'Up and an active friendly group of demonstrations wanting to share ideas and the love of the products. I love my job, do you? These are my swaps for Telford. I will show you what I bring back later this week. I can re member years back when we used to regularly go out for a curry, some chap would come round with a single stem flower wrapped in cello. These remind me of those days! Do you remember that? I have to say up front that this is not my design. Its from the brilliant Linda Parker. She is a wizz at boxes of all shapes and sizes. So thank you Linda. I love this make, its useful and its stylish. 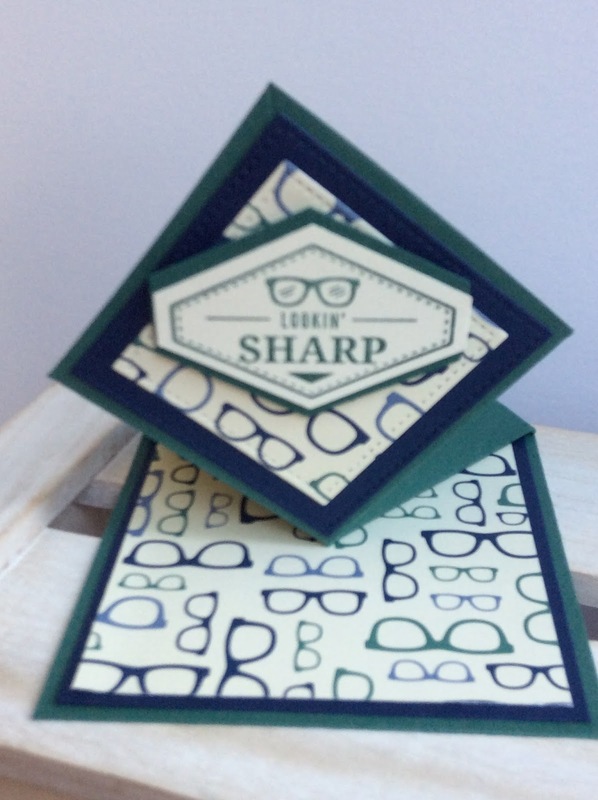 And it works well in lots of the designer papers. This little case is one of the main makes of the project class on 21st April. Full details of the class are on the events and classes page tab above. This class includes the papers and card to make this little bag as well as the stamp sets and other products. Booking closes on the 13th of the month but the sooner you book the sooner I can order your goodies. The pink and black case still needs its sentiment, I will have to look at that next week when I am back in the studio. Looking forward to sharing these in the project class. I have checked the box will fit a large bag of Malteesers or Wethers Originals.